Recently I visited San Francisco again and it was just amazing. I had only been to San Francisco once, to attend a wedding, but this time we had the chance to spend more time in and around this beautiful city. We did have to work, so this isn’t a complete city guide, but more an overview of specific spots that I found precious and wonderful. Since my boyfriend used to live there, we spent many evenings visiting his friends and we didn’t go out for dinner much. 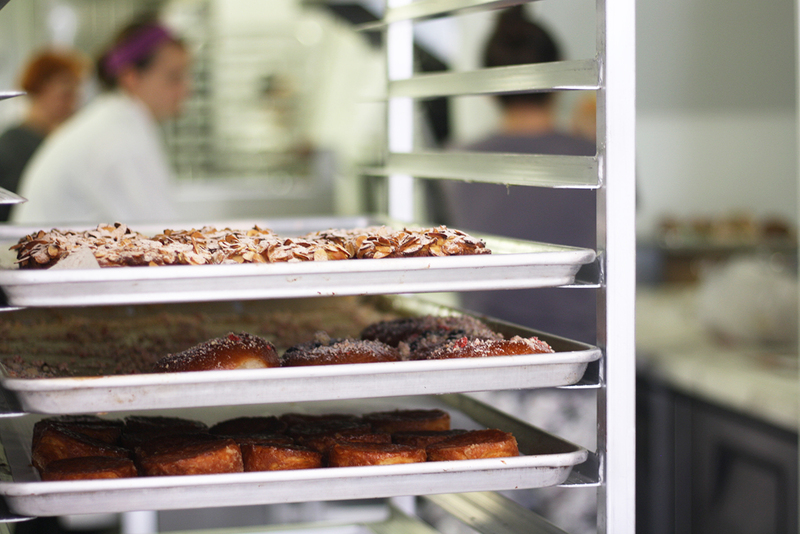 We more than made up for this by trying to stop by at Mr. Holmes Bakery as often as possible! Yes, I am not ashamed to admit that Mr. Holmes Bakehouse (1042 Larkin st.) is probably the best thing that happened to me in San Francisco. This place is a true hipster heaven with the prettiest interior including a funny neon pink sign that says: “I Got Baked in San Francisco”. 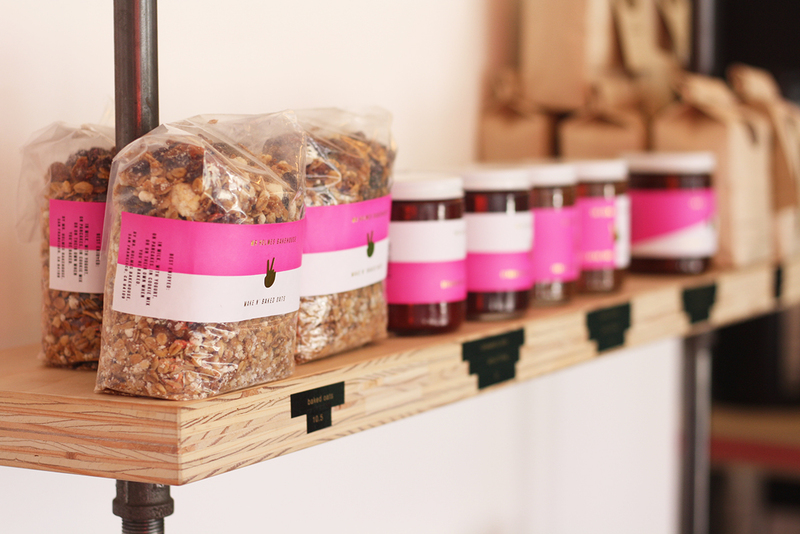 The bakery also has the cutest packaging of white with gold-lettered boxes and little milk paper bags with bright pink stickers. Their signature cruffins – which are croissant and muffin crossovers filled with pastry cream and rolled in sugar – are to die for. And I’m not the only one who thinks so, because people start lining up early morning to get their hands on one. The cruffins come out at 9 am and usually sell out around 10 am, simply because their current ovens don’t allow for a higher production. 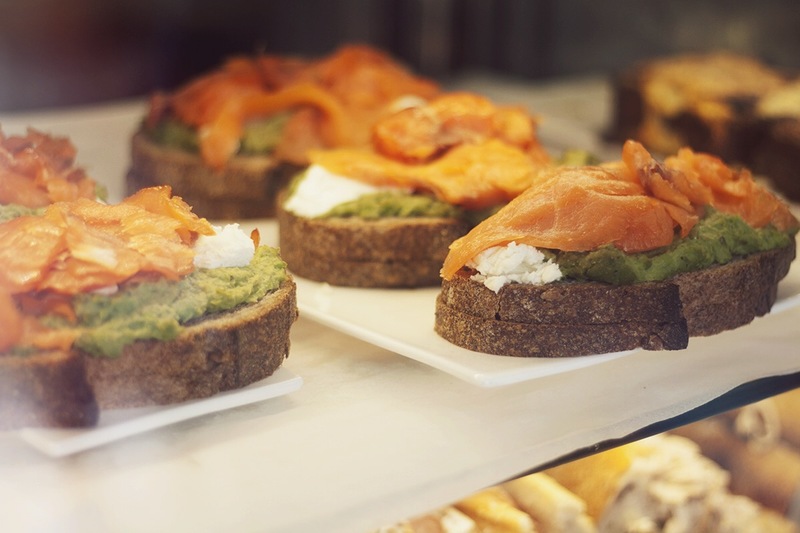 They create only one flavor per day, so don’t forget to check the Mr. Holmes Bakery Instagram for their flavor updates. However, I want to stress that their other pastries are incredibly as well! Take their donuts, that come in the most original flavors, like macha! 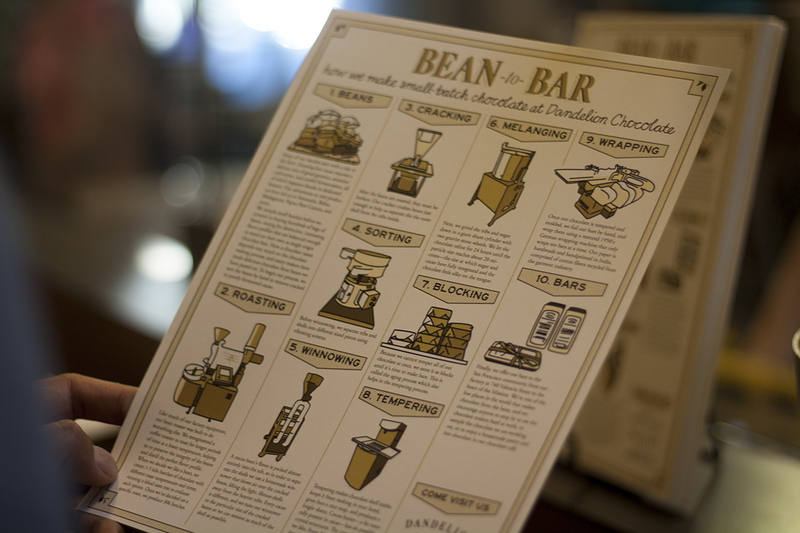 If you live in SF or will be visiting, this is definitely a must-stop. Whenever I visit the US I have to stop by at Whole Foods. 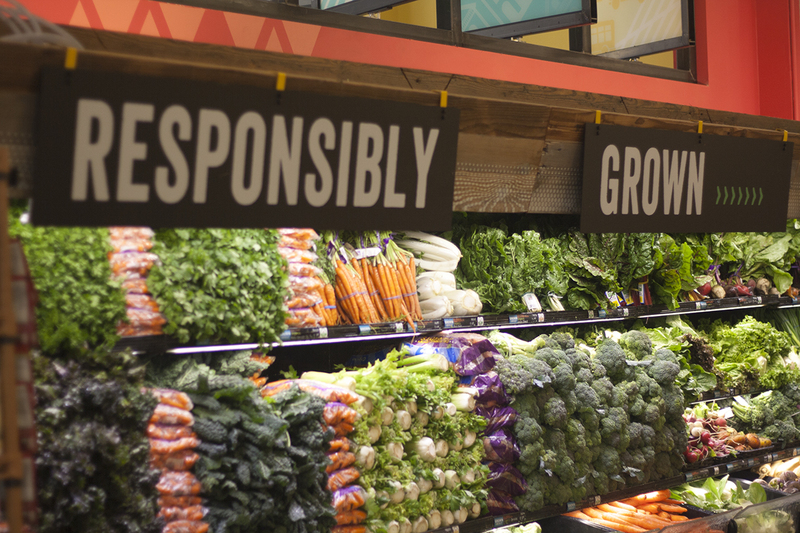 Whole Foods is a supermarket and for me, including a grocery store in this list is a big, big thing! My friends know one thing about me: my least favorite thing to do in the world, is grocery shopping. 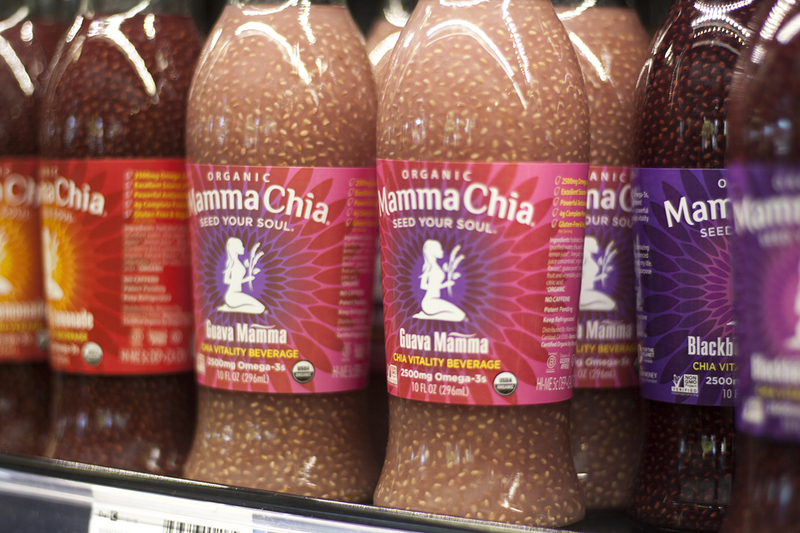 But food shopping never gave me a bigger rush than the first time I entered this overpriced healthy, organic food heaven. So the first thing that I do is locate their nearest store. 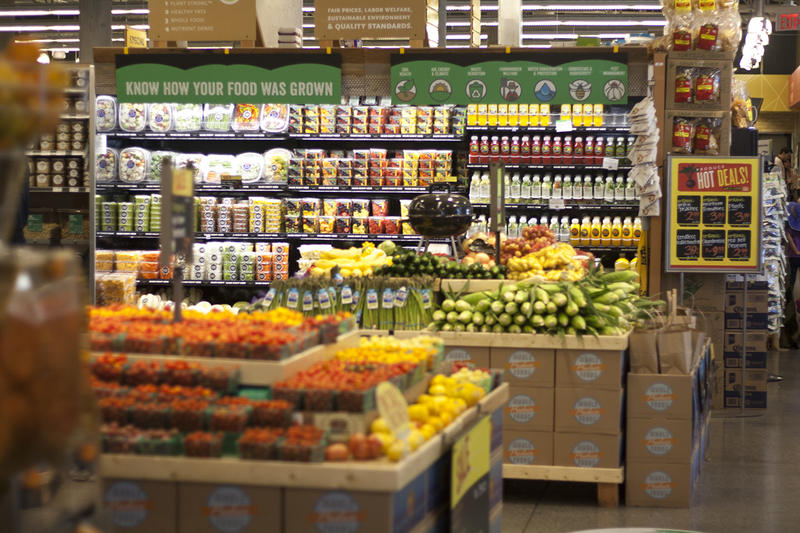 Luckily in San Francisco the Whole Foods stores have popped up all over the city! This tiny, cute place right off Union Square (75 O’Farrell St.) offers lots of healthy options for breakfast and lunch – all organic and most of it is gluten free but they also sell some vegan and dairy free items. Anyone can find something tasty at Bio – even my boyfriend, who was complaining about ”organic” restaurants on the way there – had a delicious chocolate pastry. I ordered a coconutball and fresh strawberry lemonade, so so good! 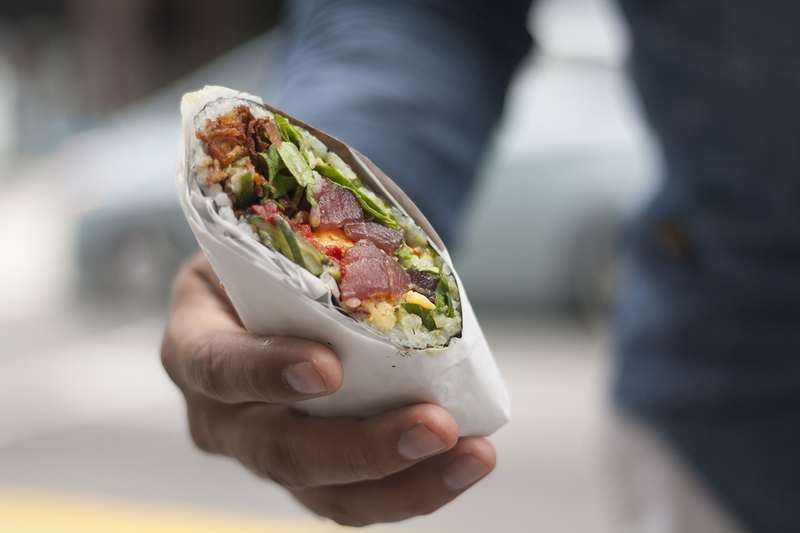 I came across this place on Instagram and it seemed too good to be true: a large, hand-held sushi burrito combining the healthiness of sushi and the convenience of burritos. Two of my favorite foods combined is #win-win! 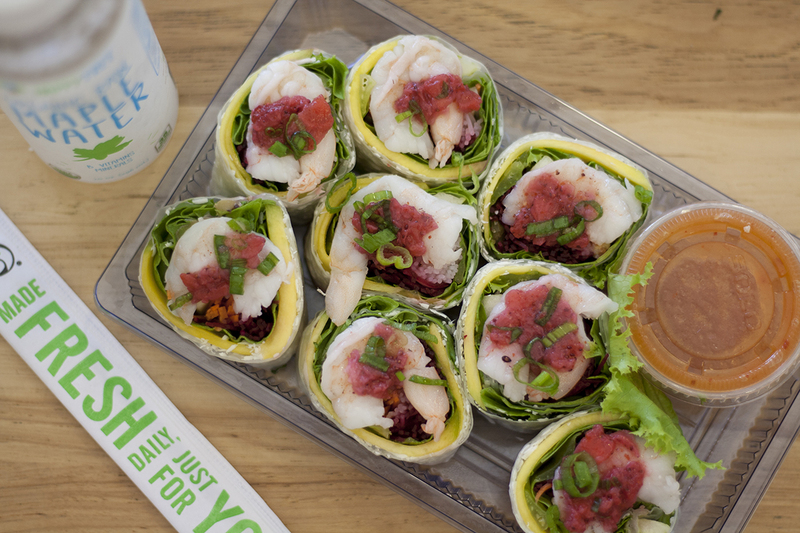 So I stopped by at Sushirrito’s Union Square store (226 Kearny St.) to give this mutation food a try. And there was this insanely long line… Usually I don’t do lines, but I assumed that since so many people didn’t seem to mind lining up here, it must be for a good reason. And it turned out to be the perfect lunch pit stop! I got two flavors: The Sumo Crunch – Shrimp Tempura, Surimi Crab and Avocado – for myself and the Geisha’s Kiss – Yellowfin Tuna, Tamago, Piquillo Peppers – for the boyfriend. So delicious! My advise is: make sure to get there before the lunch rush hour or afterwards, but do go there! 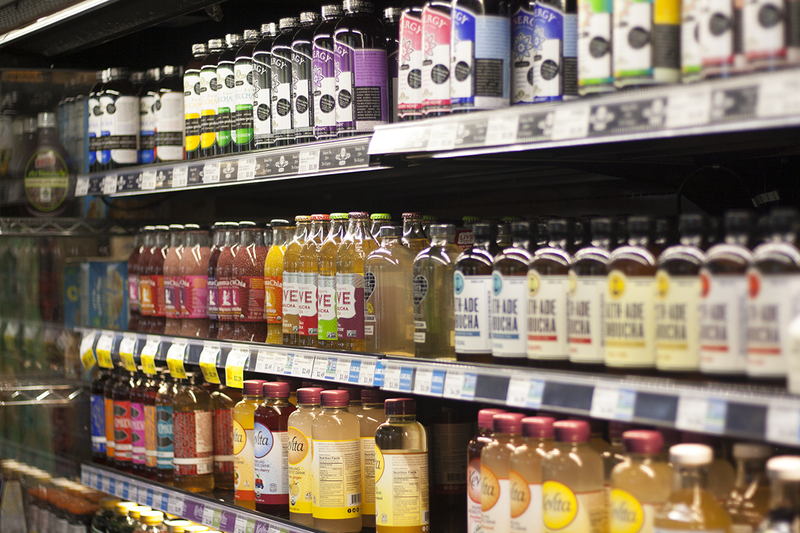 Pressed Juicery is one of the biggest juice companies in California. I have a weak spot for juiceries but the Pressed Juicery is my favorite because they also offer frozen versions of their delicious juices. 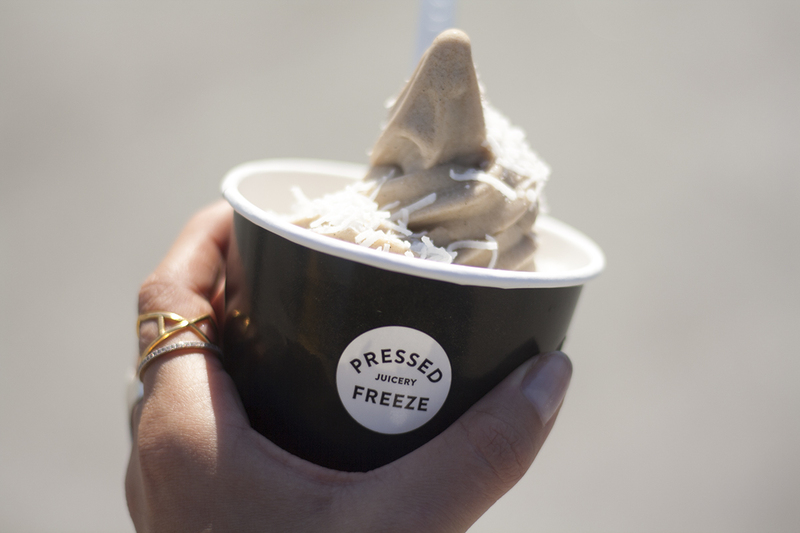 Think froyo style but then vegan, gluten and dairy-free, using only fruits, vegetables, almonds and coconuts. To make it even better they offer a variety of seeds, syrups and fresh fruits for toppings. Only a few years ago, the Mission District in San Francisco was still a bit dicey, especially after sunset. 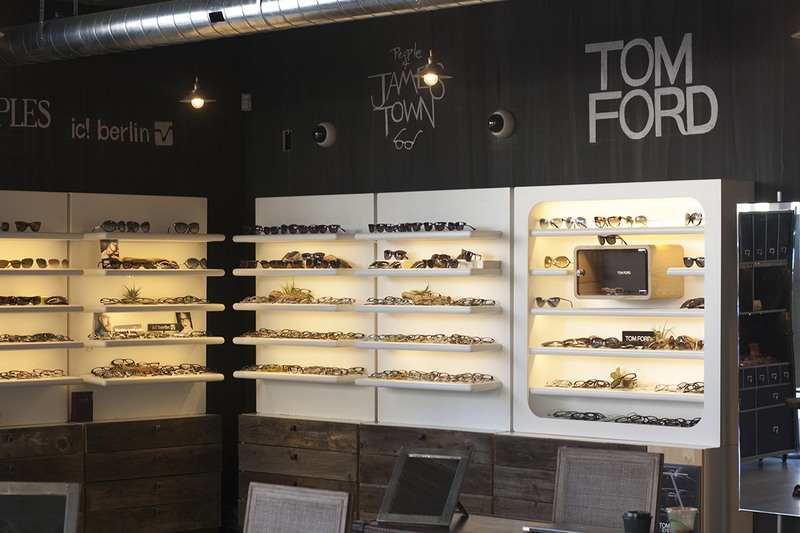 Recently it has seen a number of new stores and businesses thrive, especially along Valencia Street. Yes, there are an incredible amount of hipster techies around (a good store sign could be ‘no beard, no service’) but that doesn’t take away from the fact that the stores, a mix of bars and restaurants, vintage boutiques and furniture stores deserve a lot of credit for the effort they have put in to create a wonderful shopping experience. 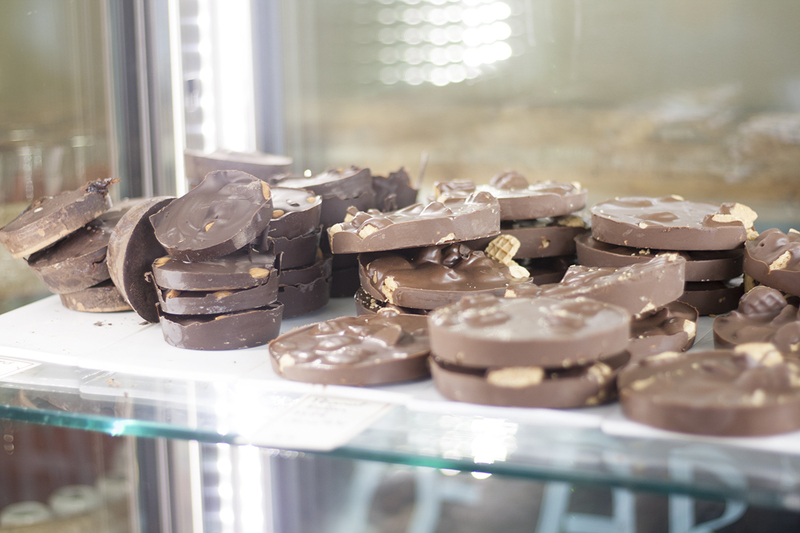 Dandelion Chocolate (740 Valencia St.), makers of artisan chocolate in every taste, shape and form. So whether you are craving for a specialty hot chocolate, a cacao smoothie or a truly spectacular brownie, this is the place to be! 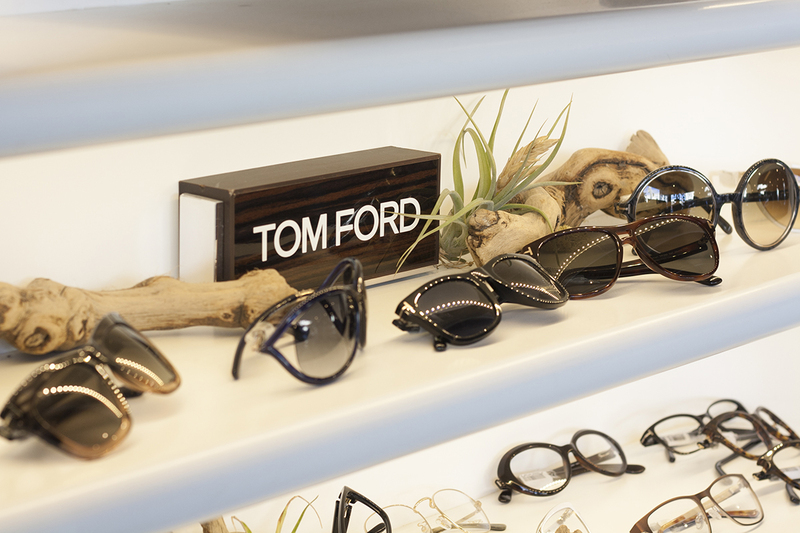 Veo Optics, (798 Valencia St.) a beautifully decorated store with a broad collection of designer eyewear brands ranging from Tom Ford and Persol to Dita and Oliver Peoples. I love their retro-modern interior! 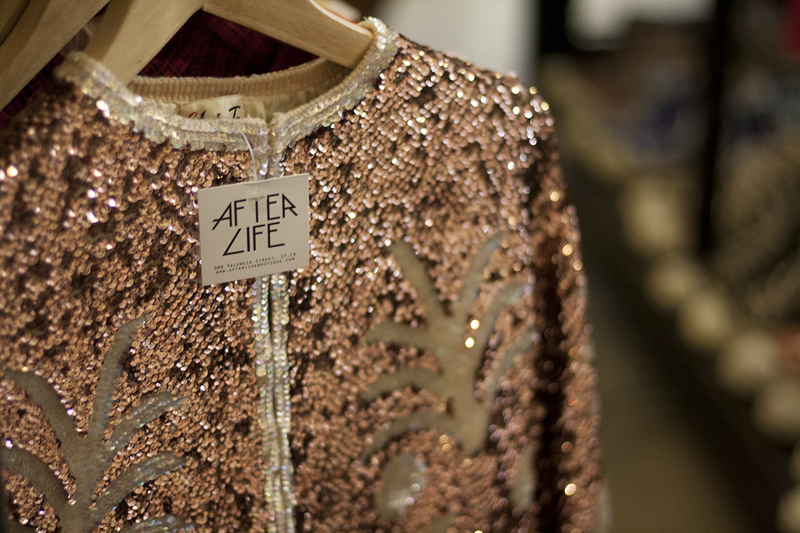 After life (988 Valencia St.) is a great shop full of vintage treasures mixed with new, upcoming brands. Looking through the pictures, I regret not having bought the sequin palm tree jacket! 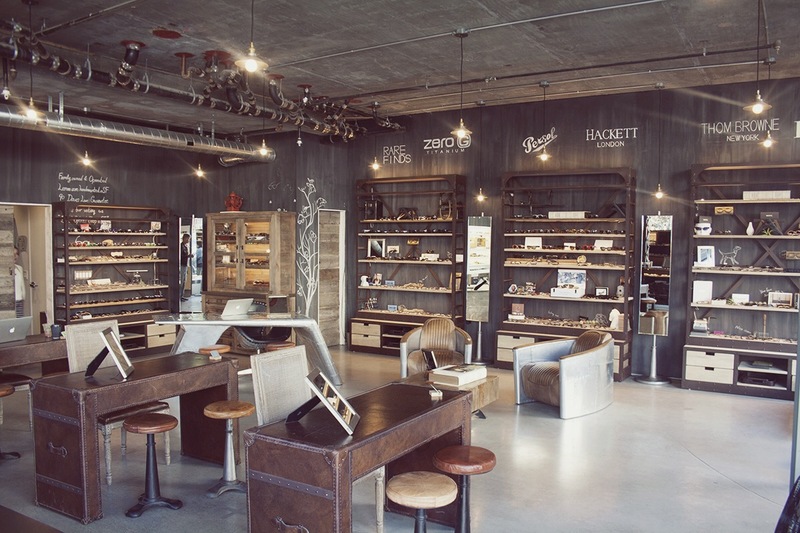 The Social Beauty Co. is the perfect one-stop-shop for a pampering experience. Their services include almost every beauty treatment you can think of: hair, lashes, make-up, brows, tanning, skincare and waxing. All provided by expert ladies who are specialized in each field. I was super excited to try out a pair of lashes (first timer!) but unfortunately The Social Beauty Co. was closed due to moving. (new address: 1712 Fillmore St.) But the girls where so nice to suggest to come over to my hotelroom to beautify me. #BigYeeh! I had my appointment with Lena early morning at 7am, right before we had to leave to the airport to catch our flight back to Amsterdam. The process took about 90 minutes. But that was no problem, laying comfortable on a stretcher that Lena brought. Chitchatted with Lena, who is such a delight! And she was absolutely brilliant in the application of my lashes. Even the boyfriend remarked to me afterwards how impressed he was at the steadiness of her hands. I was blown away by how natural the new lashes looked and felt. Full and dramatic yet not too unnatural. So for the details: I got Mink lashes, which are lightweight, silky smooth and they feel very natural on my lashes. Bonus! I don’t need to curl my eyelashes and layer on mascara anymore. 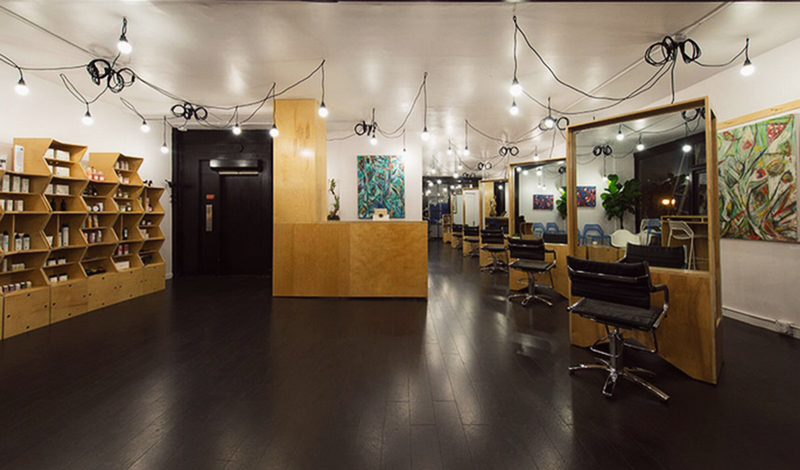 You can find a lot of great hair salons in San Francisco, but the Tailored Salon has a true unique, cool vibe with its modern, industrial interior and talented stylists and colorists with their artistic approach. The Salon is located in the heart of downtown San Francisco near Union Square (266 Sutter). And let’s be real: I couldn’t leave San Francisco without experiencing a topnotch blow-out. A blow-out?! It still is kind of a new thing in Europe. And yep, that’s right: no cut, no color, just blow-drying your hair into a stylish hairdo! I had the pleasure to fall into the hands of Nicole Brown, owner of the Tailored Salon. She trained and worked at Vidal Sassoon for years and she surely is the best at what she does! I got hooked up with a delicious cappuccino. Yes, I’m a sucker for the little details! And then we went off washing my hair. Nicole taught me to wash my hair twice to make sure it was squeaky clean to get the most out of my blow-out. She treated my hair with deliciously smelling products of the brand Number4, all containing heat protection. I decided to go for curls and Nicole politely asked: ‘’Barbie or Victoria’s Secret curls? !’’ Haha. Uh, VS pretty please!! I couldn’t believe how gorgeous my hair looked after the blow-out. I had so much volume and pretty waves, I left feeling amazing! The blow dry lasted for 4+ days and although the bangs came down, the volume was still there (with a little help of dry-shampoo on day 3) and I still received compliments on the 4th day! Posted in Beauty, Fashion, Food, TravelTagged After life vintage, Bio Organic restaurant, City Guide, Dandelion Chocolate, MR Holmes Bakehouse, Nicole Brown, Pressed juicery, San Francisco, Social beauty co, Sushirrito, tailored salon, Valencia st. Mission, Veo OpticsBookmark the permalink. 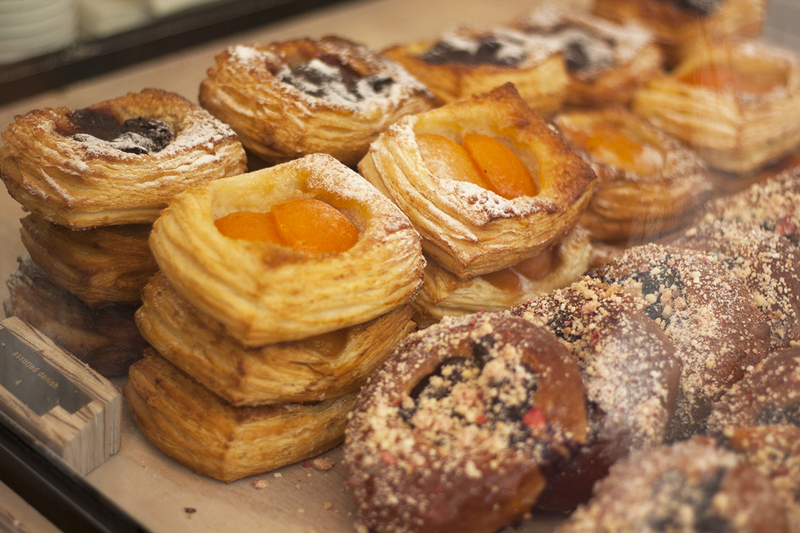 Wish I could go to San Fran to try out some of those food places, that cruffin looked delish! I am so glad you had such a wonderful experience in SF, and that you hit up some of my favorite spots. Mr. Holmes is like heaven in your mouth! Happy Friday! I’m planning a West coast US trip in October and your tips are great as well as you blog. Thanks from your old AMFI classmate!